NEW ORLEANS, Dec. 19, 2014 /PRNewswire-USNewswire/ — Hurricane Katrina’s flooding in 2005 may have risen to 8 feet inside the former St. Matthias Convent, but the Gulf waters did not drown the faith and hope that remain here. A decade after its near-destruction, the 8,000-square-foot building will be transformed in 2015 into Hotel Hope, a 40-bed, short-term residence for homeless women and children. The estimated $1 million project received a $100,000 Affordable Housing Program (AHP) grant from First NBC Bank and the Federal Home Loan Bank of Dallas (FHLB Dallas). 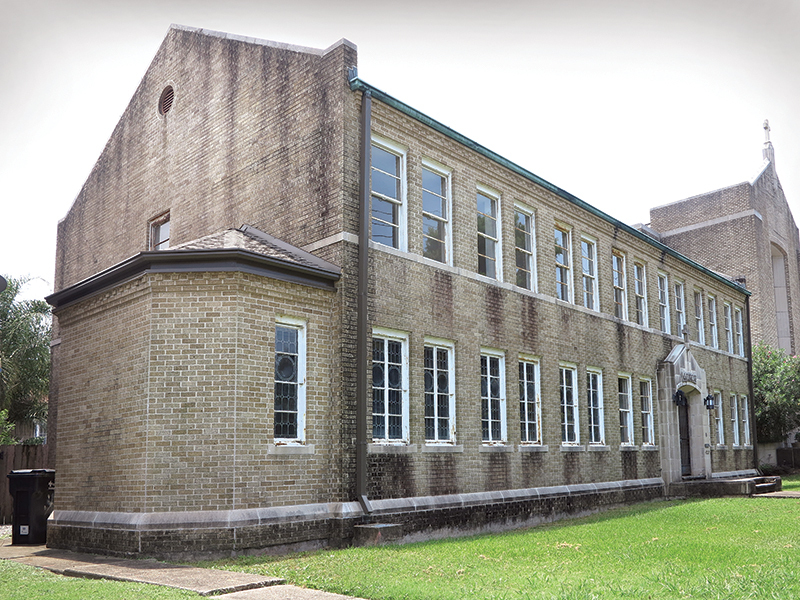 The funds will be put toward the cost of renovating the building at 4222 South Broad Street, which is projected to open in late 2015 or early 2016. In addition to temporary shelter, the building’s first floor will house day facilities with showers, a laundry room, child care, prepared meals, clothing, telephones, and a computer center. As well, services will include job counseling, life-skills training, and mental-health screening and assessment. Each year, FHLB Dallas returns 10 percent of its profits to the communities served by its member institutions, in the form of AHP grants. The grants are used to assist in the development and/or rehabilitation of affordable, owner-occupied and rental housing for very low- to moderate-income families. Estimates from the U.S. Department of Housing and Urban Development (HUD), show that a family with just one full-time worker earning minimum wage cannot afford fair-market rent for a two-bedroom apartment anywhere in the United States. In New Orleans, this represents 13,424 family-households. “FHLB Dallas is thrilled to partner with First NBC Bank to support Hotel Hope. The contributions of everyone involved in this worthwhile project will help fill a real need in the community,” said Greg Hettrick, vice president and director of Community Development at FHLB Dallas. This year, FHLB Dallas awarded $9.8 million in AHP funding to 33 projects primarily within its five-state District of Arkansas, Louisiana,Mississippi, New Mexico, and Texas. The 2014 grants will result in the creation or rehabilitation of 1,586 housing units. Since the program’s inception in 1990, FHLB Dallas has awarded more than $228 million in AHP grants to help approximately 42,000 families obtain safe, affordable, and quality housing. First NBC Bank Holding Company is a bank holding company, headquartered in New Orleans, Louisiana, which offers a broad range of financial services through its wholly-owned subsidiary, First NBC Bank. The bank serves its customers from its main office in the Central Business District of New Orleans, 30 full service branch offices located throughout its market and a loan production office inGulfport, Mississippi. Established in 2006, First NBC had assets of approximately $3.6 billion as of September 30, 2014. The Federal Home Loan Bank of Dallas is one of 12 district banks in the FHLBank System created by Congress in 1932. 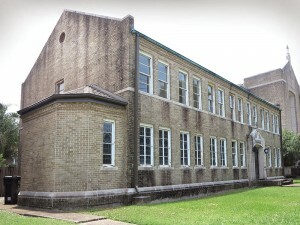 FHLB Dallas, with total assets of $37.5 billion as of September 30, 2014, is a member-owned cooperative that supports housing and community development by providing competitively priced loans and other credit products to approximately 900 members and associated institutions in Arkansas, Louisiana, Mississippi, New Mexico, and Texas.